This 55 Passenger MCI Bus with bathroom was the Mississippi State University's women's softball bus. It has 294,175 miles on the engine and has a brand new transmission. It has 6 TVs. 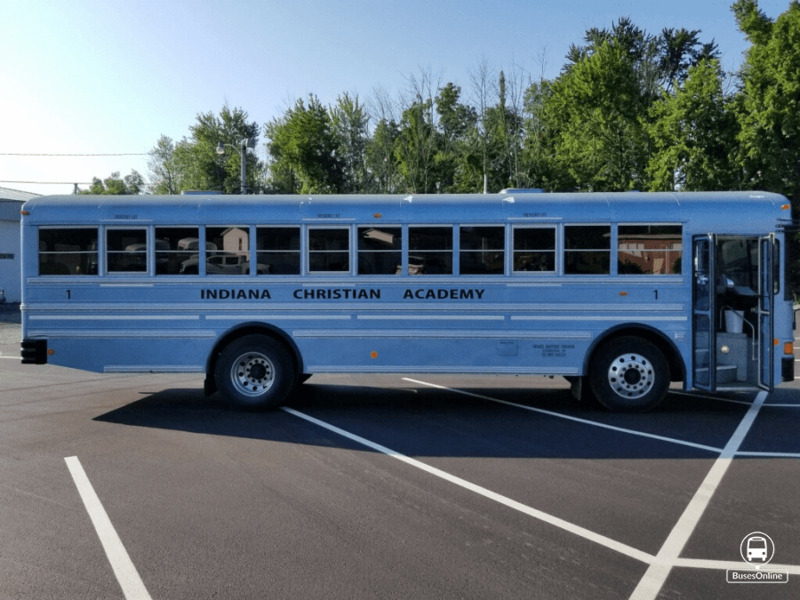 Our small local private school purchased it for the sports teams, but we could not find a driver. One person who tried to drive it messed up the transmission so there is a brand new one with 23 miles on it that was installed. There are no issues at all with this bus. It needs to be washed and the water line to the bathroom needs to be reattached. We unhooked it because the school kids did not need it for the few short trips they took in it. 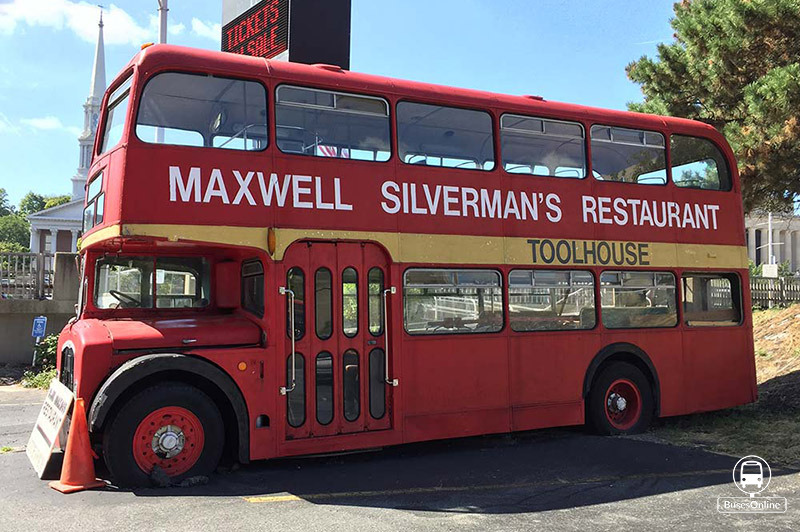 This is the biggest bus made, it is the model that was not available in the USA for many years. It has the very tall interior. We paid over 30K but will take 20K. 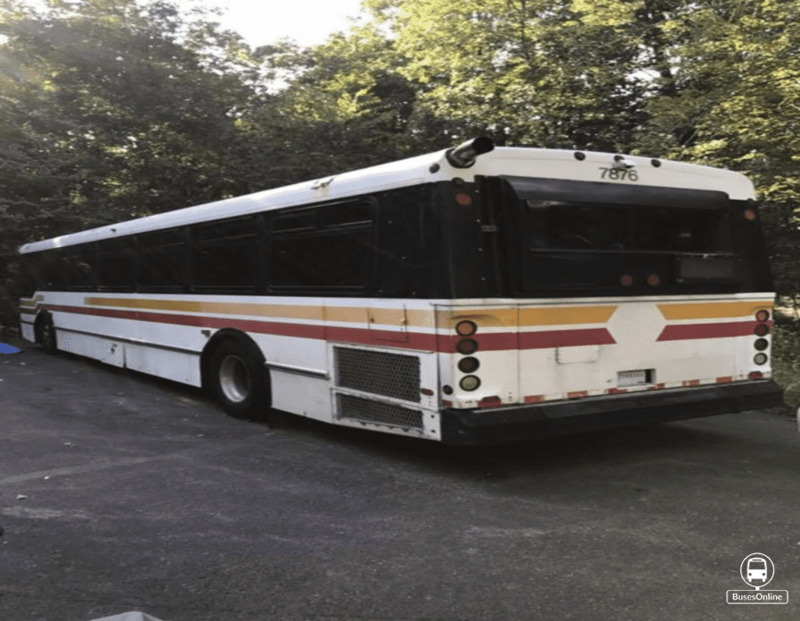 On October 21, 2017 the City of Durham, NC will sell (5) 2003 GILLIG BUSES at public auction, REGARDLESS OF PRICE. This will be a simulcast auction allowing for bidding from your computer. 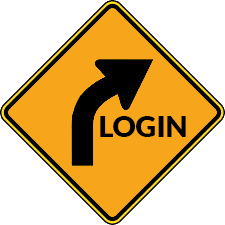 You must be registered and approved for bidding by Friday, October 20 at NOON. In addition we will have (4) 22 ft transit buses. 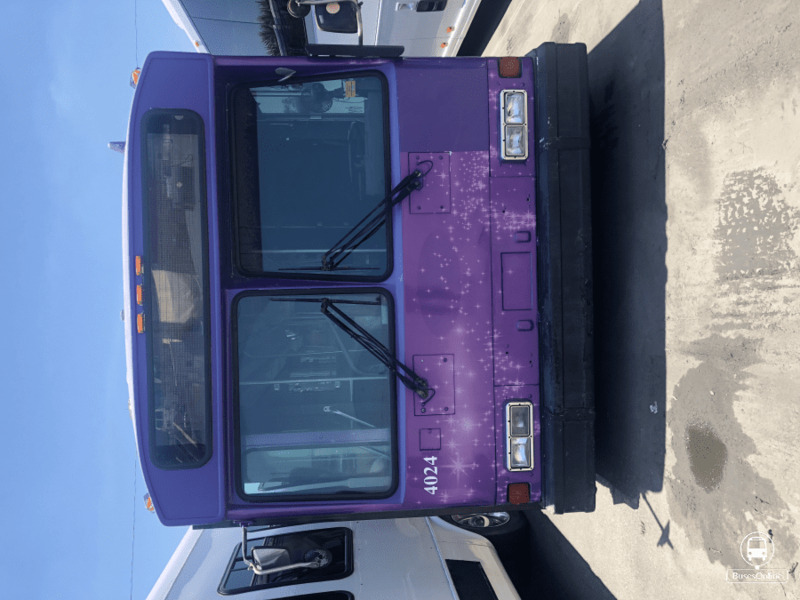 2003 Gillig low floor 30\' transit bus. 23 seated passengers. Cummins ISL engine. The engine is a Recon with only 185,000 miles on it and runs great. Voith transmition New windshields Refurbished drivers seat I do a comprehensive 120 pt inspection and 50 mile road test and fix any major issues. Inspection report available upon request. Florida bus, well maintained. No Rust!!! I have multiple units available and can arrange shipping. Accepting offers. No reasonable offer refused. 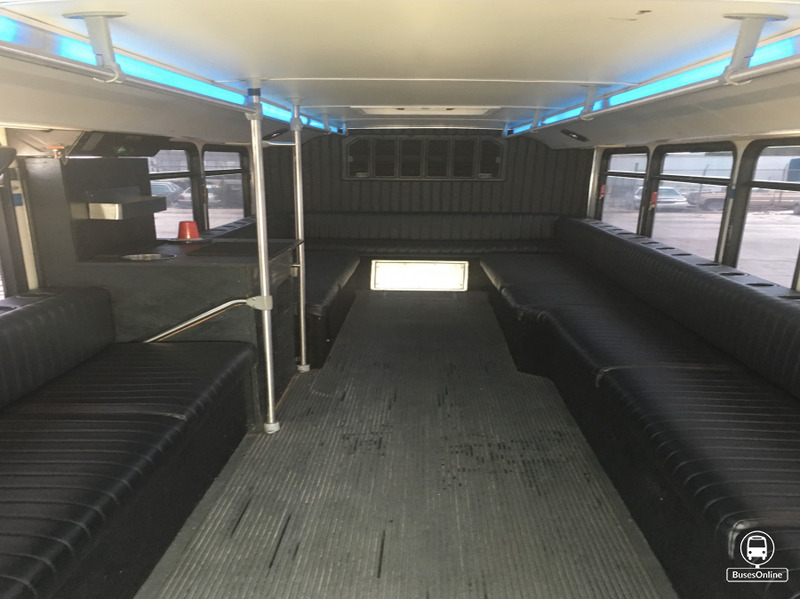 2008 Chevrolet Bus in excellent condition...14 passenger Bus, interior is excellent condition. Motor and driver train is perfect...burns no oil and run A-1.Heater and A/C works perfectly...Tires in good condition and paint also. Bus still looks very nice and handles and drives very nice also. 1 side door only. Asking: $9,500, call 401-255-2047 or email us. Engine (Detroit Series 50) and transmission (B400) in excellent condition, new turbo. New Battery needed. 37 passenger plenty of space. INT/EXT needs some work. Used bus completely empty inside only driver seat outside is white, registered as an r.v. 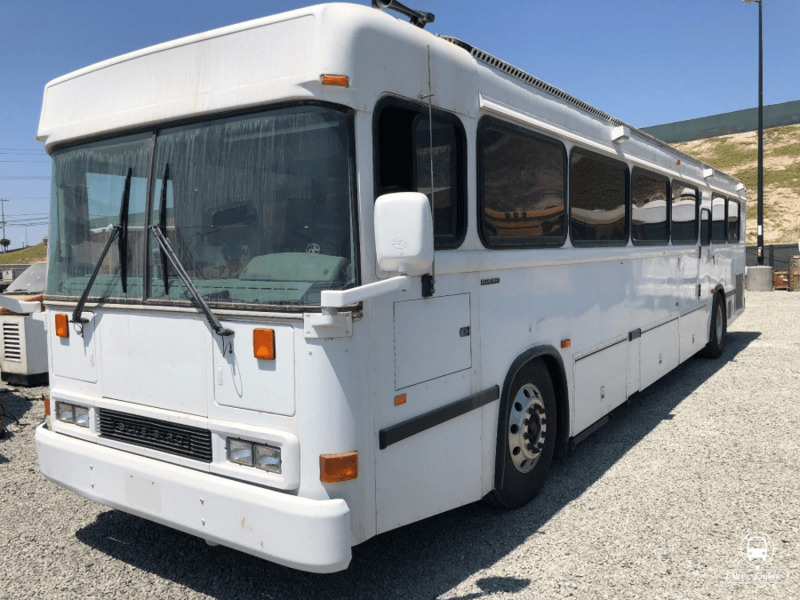 2007 GILLIG 40' 37 Passenger transit bus. It has a Cummins ISM engine that was just overhauled. Regular exhaust, it has EGR only NO DPF. Voith transmision, recently overahauled. Fresh white paint. Ice cold AC. Recaro drivers seat. Aluminum Alcoa wheels. Wheelchair ramp. This bus is fully inspected and ready for service. Drives smooth and everything works. Come take it for a test drive! I was going to turn this bus into a party bus but I only got as far as a paint job. If you are interested send me an email and I will respond quickly with my phone number. I am located in Dallas, Texas.  New Rear Diesel Engine With 2010 Miles on it.  Year: 2001 with 114,315 miles from old engine. Total Mileage is 116325. Shown in Picture. Model Number F6W-1200  46 passenger  Two A/C units  Mahogany Rubber Flooring  AM/FM Cassette Radio  Under floor storage  Tinted Windows  Brown high back vinyl seats that are staggered. The Price is Definitely Negotiable. 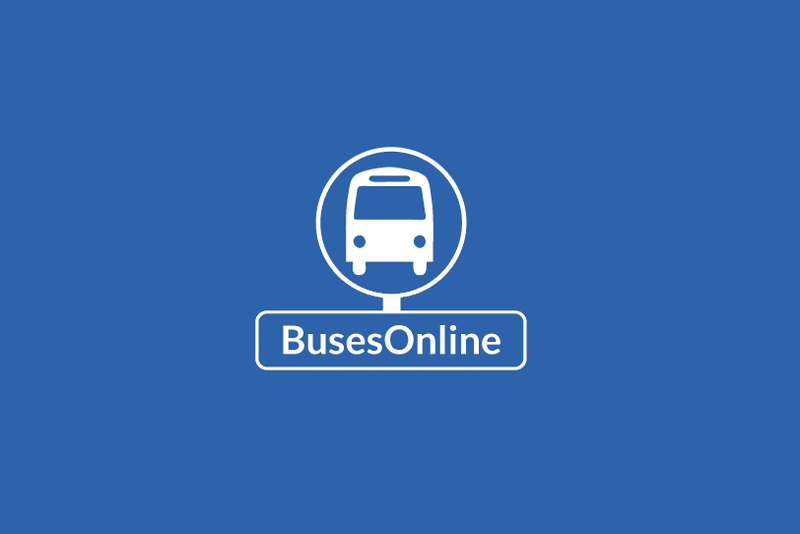 2002 Orion Transit Bus. Turns over but needs alternator. Have parts. For more info call or text 4693373041.